We offer a wide variety of marijuana products to customers with valid 21+ identification. 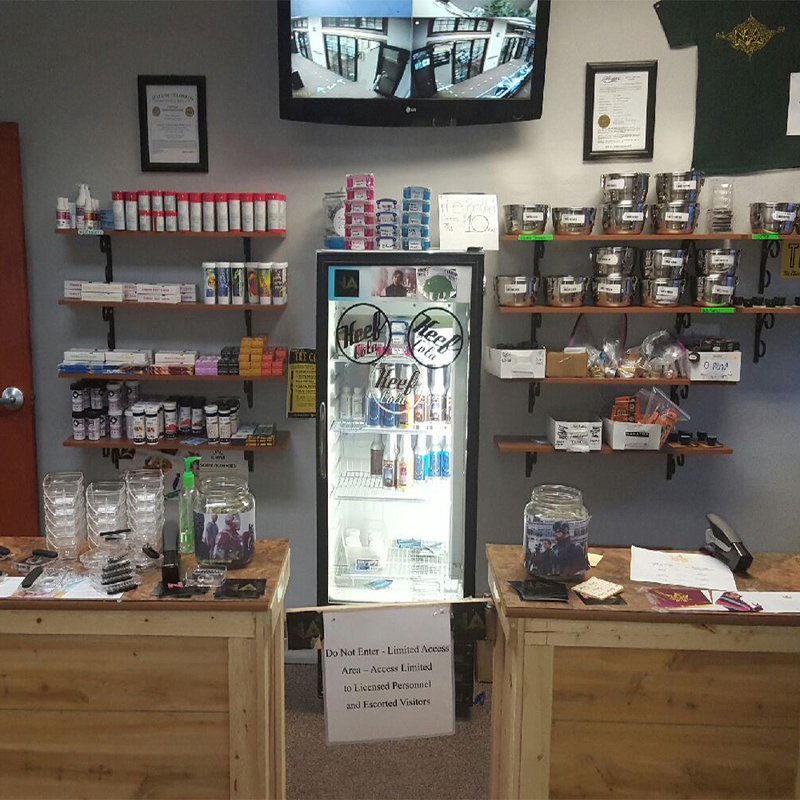 We carry our top-shelf in-house products as well as products from other local growers. We provide discounted rate on select strain each week. The recreational store entrance is located at the rear of the building. Our knowledgeable staff will help guide you through our products and find a solution for your specific needs. A wide variety of indica, sativa, and hybrid strains available. We provide our own house grown strains and well as guest grown flowers. We stock a large selection of concentrates from the top brands in Colorado. Edible marijuana products are available for those who do not smoked.